Welcome Tennessee Teachers and Students! 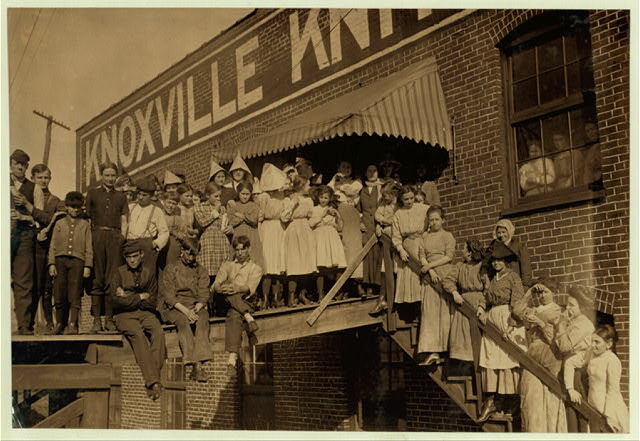 Welcome Tennessee teachers and students to the East Tennessee Historical Society's (ETHS) revised education resource website for teaching American, Tennessee, and East Tennessee History. All three areas of history are listed because this site contains valuable content and primary/secondary sources to address just about any American history topic. Future additions and revisions to the site will feature ties to the Tennessee and East Tennessee strands in the curriculum. The ETHS was fortunate to partner with 11 school sytems and the University of Tennessee's Department of History from 2003-2014 on three Teaching American History Grants funded through the U.S. Department of Education. The www.teachamericanhistory.org website grew and evolved as a result of these partnerships. As a legacy of these grants, and the incredible web resource developed, ETHS has committed to not only maintaining the site (linked to the current domain www.teachtnhistory.org) but also revising it to meet and address the 2014 Tennessee social studies curriculum, with a priority on the state and local aspects the Society's mission most fully supports. Tennessee social studies standards adopted in July 2014 include many Tennessee people and events (including notable East Tennessee examples). The 4th, 5th, 8th and high school American history curriculum integrates Tennessee history throughought.